Today we have a really fun challenge this week over at our Loves Rubberstamps Challenge Blog called Fun With Ribbons. All you have to do to play along is create a project that uses ribbon on it! You can get creative with it, or use it the standard way with a bow (which is super hard for me - LOL)! This week we are also being sponsored by The Paper Shelter who has the absolute CUTEST Digi Stamp sets on the planet! They are offering a $20.00 Gift Voucher to our Winner! So if you play along...you could receive that awesome prize PLUS a Gift voucher to Loves Rubberstamps. Either $10.00 or $20.00 depending on what stamp you use! So it is an awesome week to play along! For my Inspiration project I decided to create a ribbon bookmark that features one of the super cute images from our sponsor! Here is my bookmark laying flat! I can tell you that this sucker was HARD to photograph because the ribbon isn't stiff. This cute image I used is from The Paper Shelter and it is called Gothic and Modern. I colored her using my spectrum noir markers and had printed her out onto crafters companion ultra smooth white cardstock that is designed to use with alcohol ink markers. After coloring her up I cut her out using my colluzzle and then layered her on top of silver glitter paper. I sandwiched my ribbon between the layers. Now... my normal double sided adhesive wouldn't stick to the glitter paper very well. Holly had recommended that I try the Best Glue Ever from ScrapPerfect quite awhile ago and she had told me that when you glue layers with it - it didn't wrinkle your paper all up. I decided to try it and it worked amazing! No wrinkles or anything and it really sticks to that glitter paper! I also used it to sandwich my two other pieces onto my ribbon. 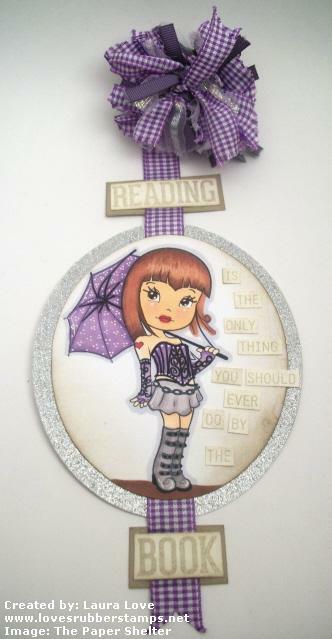 I used the stamp set that comes in the My Favorite Things Die-Namics Bookmark & matching stamp set for the sentiment. I stamped it and then cute each word out and layered them using glue dots. Here is a close up of my bookmark main panel. I hope you liked my project! I think I will be making some bookmarks for some christmas gifts...but next time I won't be skimpy with my ribbon for my blossom - LOL! Thanks for stopping and remember...if you make a project with ribbon on it - we wanna see it so play along in our challenge! I love your style of book mark. This is a fun one! LOVE your fabulous tag and the ribbon looks awesome!!! And look Ma, no wrinkles, lol. Love it. The colors are so great and the image is so super cute!!! Laura this is so cool! I've never seen a bookmark like this. And that sentiment is awesome! LOL! Works perfectly with that image, which is colored beautifully. The Lovely Bones? Are you reading it now? I saw the movie...incredible! Probably hugged my daughter for 10 minutes after it was over! LOL! Ah I digress...Thanks for joining us this week at Jackson's Digital Expressions! Very clever...cute image and a fun project. Interesting book, too....I read this a few years back. A little sad but intriguing! Thanks for playing with the Paper Players this week and sharing your project with us! 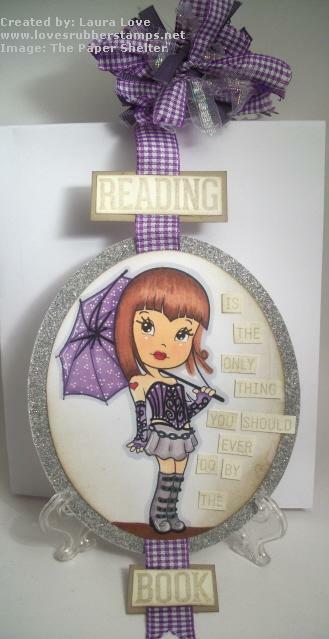 Beautiful book mark, lovely colouring of such a cute image and I liked your tip about the ribbon too. Thanks for joining Forever Friends Challenge. Good luck in the draw and hope to see you again very soon. We are running a DT call at the moment, pop back to FF for more details. What a gorgeous bookmark. Thanks for joining us at CYDI? Very fun & sweet :) It's wonderful to have you join us at Tuesday Alchemy this week! This is too cute! I love the sentiment! Nicely Done! Thanks for playing along with us at Jackson's Digital Expressions! Thank you for entering your creation at Eureka Stamps challenge for the kids. I love the ribbon bloom, very nice. What a sweet bookmark! Thanks for joining us at Eureka Stamps this week. What a wonderful bookmark. The image is adorable and colored wonderfully! Big smiles and thanks for joining us at Can You Digi It! This is ingenius! Love your pretty colored image and fab sentiment too. Your TIP is a wonderful idea and I'm going to give it a try. :) Thanks so much for joining our Kids/Teens challenge at Top Tip Tuesday! Fabulous tip too, thank you so much for sharing that. Love it! What a great book mark and that sentiment and image are sooo great! Love that fun bow you made. Thanks for joining us at Can You Digi It? So beautful coloring, very pretty.Thanks for joining with us at My Heart Pieces. Great book mark. Thank you for joining us at Dream Valley. Lovely idea! Pretty bookmark! Thanks for participating in our MY HEART PIECES challenge!! Fabulous project the image is simply gorgeous. Thanks for joining in on the fun at Jackson‘s Digital Expression. We look forward to seeing you again. What a fabulous, unique bookmark! Hi Laura!! Beautiful Bookmark! 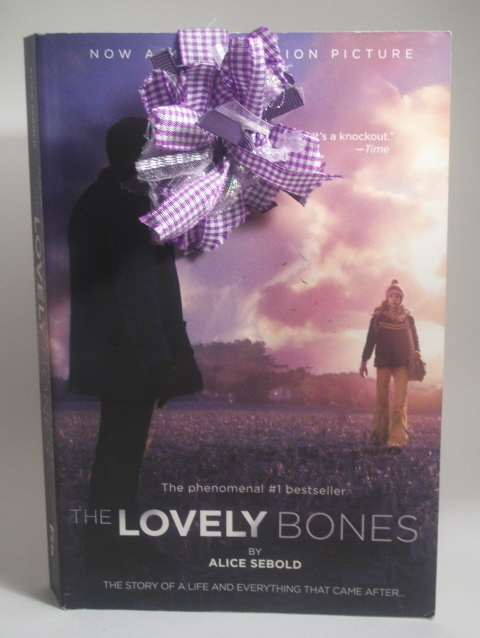 I LOVE the Purple Bow!! Gorgeous! Thank you so much for playing with us this week at Jackson's Digital Expressions!! I love your bookmark. She just looks like the kinda girl that would read that book. I love this idea. Really fun bookmark! Great bookmark. So cute. Thanks for joining us at Can You Digi It?. Great bookmark design. Thanks for playing along with this week's CYDI? challenge!